Bryant Park Blog: Ask Bryant Park: How Do I Find More Information About Winter Village? 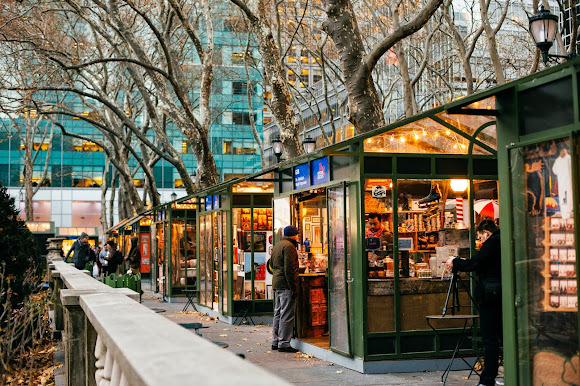 Ask Bryant Park: How Do I Find More Information About Winter Village? Want more information about what's happening the park? Besides posting updates here on the blog and on our Facebook page, we also have an entire website dedicated to the Bank of America Winter Village. From pricing to event information to FAQs, WinterVillage.org is your one-stop shop for all questions about The Rink, the Holiday Shops, Celsius and more. Our pricing page breaks down all information about skate rentals, bag check services, Fast Pass, Season Passes, and other services available at The Rink. It also provides links for purchasing these tickets and passes online prior to your arrival at Winter Village so you can save some time standing in line! The only thing that beats free skating in NYC is free skating in NYC with friends! If you're planning on bringing a big group to The Rink, check out our policies for group reservations, which can be made day-of or beforehand. What's a skating rink good for if you don't know how to skate? Schedule a private, semi-private, or group lesson with our trained coaches to get you out on the ice skating swiftly and safely. These lessons are suitable for skaters of all ages. Your holiday shopping trip just got easier thanks to Bryant Park and WinterVillage.org. Whether you want to plan your shopping trip before you get there or just take a look at what this year's shops are offering, the Winter Village website is the best place to start for information about the Holiday Shops. All the skating and shopping is bound to make you hungry, so thankfully Ice Bites and Celsius are close by. Take a look at the website's dining section to find out more information about these new dining additions including hours. 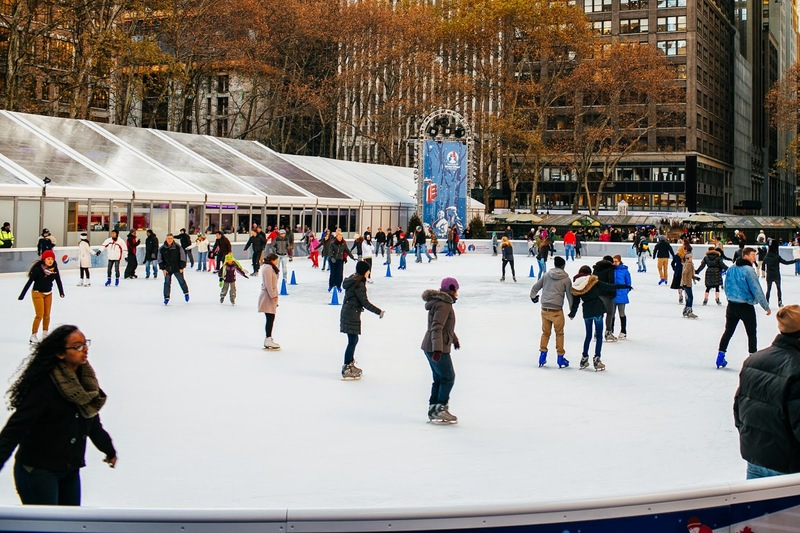 The website also includes a FAQ section and more information about this year's Bank of America Winter Village in Bryant Park. Make sure to check it out before your visit or call 212-661-6640 if you have any other questions.